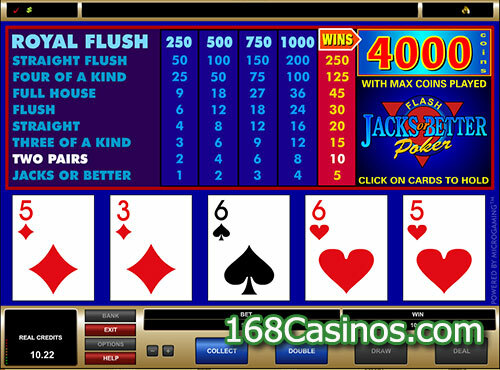 The Jacks or Better Video Poker game is a very simple game from Microgaming. This game has no wild cards, and it also has no bonus features. It makes use of 52 cards, which is a standard deck of cards, without the addition of joker. The payout though is also very simple, with the maximum payout also set at 4,000 coins. You will only get the highest payout if you get a royal flush and the bet you placed is the maximum number of coins, which is four.